No Means No! Byron Bay Bluesfest hosts some of the most timeless artists in the world and serves up some incredible food, but this year it was a powerful moment of activism that stole the show. 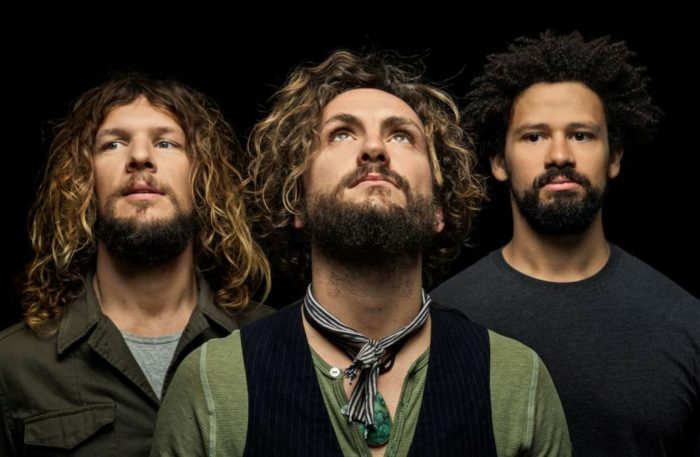 John Butler Trio were mid-song when a number of esteemed artists such as Ziggy Alberts, Hussy Hicks, Lukas Nelson and Michael Franti joined them on stage in protest of the proposed coal mine in Central Queensland funded by the Adani group. The Adani Group is planning to dig one of the major coal mines on our planet right here on Australian soil. Queensland’s Galilee Basin is the proposed home of the Carmichael mine, and the implications of allowing this project to go ahead involve irreversible damage to The Great Barrier Reef, adding billions of tonnes of pollution and fuelling the already raging fire that is global warming.This despite a recent government report outlining how Australian emissions and air quality have actually worsened despite targets, and following the worrying global trend away from environmental protection, with car emissions targets in the USA being relaxed as we speak. Perhaps it’s a pebble in the ocean, but to see a group of influential artists standing side by side with the leader and spokesperson of the Wangan and Jagalingou people was powerful to say the least. The group of artists and protesters held up a large sign reading “STOP ADANI: CORAL OVER COAL”. You can check out the scenes for yourself below. I want my son to grow up in a healthy world, and know that we fought hard to protect his generation’s future. The Carmichael Mine is the opposite of what we should be doing right now. This coal mine is so big it will tip our climate into environmental devastation. How can anyone with a conscience think that it is ok for our children to inherit that? On another, slightly related note, Ernest Cline’s exciting, dystopian future sci-fi novel Ready Player One has recently been adapted in to a Spielberg movie. The film is set in 2045, where the world as we know it has been over-polluted and drained of all it’s natural resources, a fate that may be possible if projects such as the Carmichael Mine go ahead. With millions of Aussie’s getting behind the movement, and such a noticeable public backing, surely The Carmichael Mine can’t go ahead. Here at Fashion Industry Broadcast we value each and every opinion. How do you feel about a Ready Player One future, and our collective agency to prevent it? We would love to hear your take in the comments section below.